Timber Creek is holding a Spirit Night at Chick-Fil-A Jan. 30 from 5:00 p.m.-9:00 p.m. While ordering, Timber Creek supporters must mention that they are with Timber Creek. Dining in or going through drive thru are both acceptable methods of ordering. 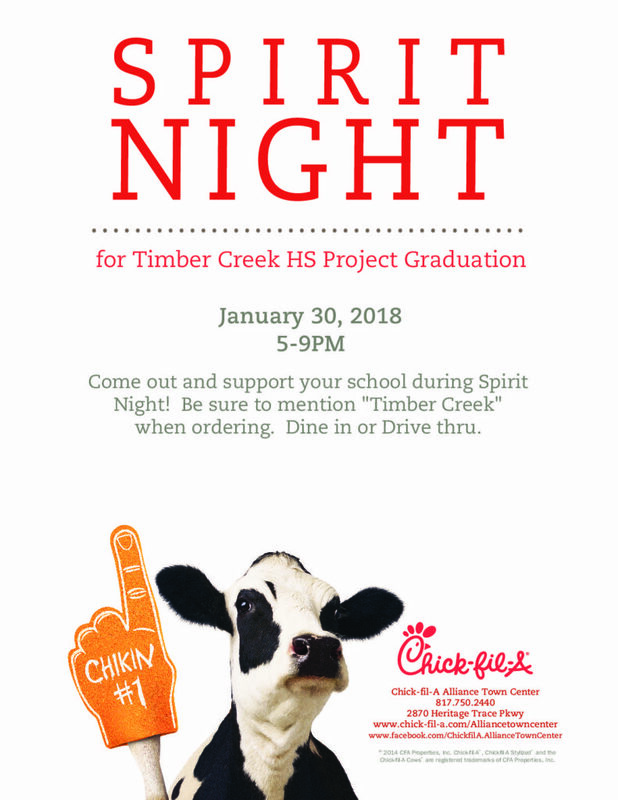 Every spirit night venue differs on the amount that is given back to the school; however, Chick-Fil-A will donate within 10-15% of their proceeds to the project graduation fundraiser. Depending on the spirit night they also give more percentage based on the amount of people that come, so it’s encouraged that many students show participate.